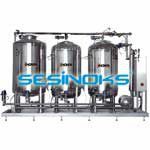 The ABH in-line flotation system enables the clarification of the must after the pressing stage in a simple and fast manner before the fermentation stage. 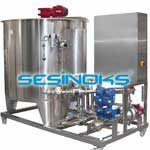 The main application is the clarification of white and rosé musts in accordance with traditional white wine vinification methods, although it can also be used for the clarification of red wine musts from a preceding thermovinification phase. Thanks to Inoxpa’s patented system based on an air bubble homogeniser (ABH) that combines the Venturi effect with a powerful turbine, the must entering the system from the press is supersaturated with microscopic air bubbles that are generated and distributed evenly on the bottom of the tank. These bubbles rise through the must and carry the coarsest colloidal molecules and impurities to the surface where they float and enable the collection of the clean must, on the one hand, and of the solids and impurities, on the other hand. This process is simple, clean and fast, and can be automated. The adhesion or adsorption effect is achieved using additives such as gelatine. By controlling the number and size of the bubbles using these additives, it is possible to optimise the turbidity (NTU) and brightness of the must. The addition of air does not require any pressure or compressed air supply, which results in considerable energy savings. The patented ABH system distributes the microscopic air bubbles in an extremely uniform manner within the must making sure that no volume of must is left untreated. 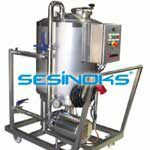 In addition, the desired turbidity is achieved much faster than with other similar systems available on the market. Since this is an in-line system, the time devoted to clarification is considerably reduced compared to static clarification systems. It eliminates the potential risk of early spontaneous fermentation and greatly reduces the energy required to keep the musts refrigerated. 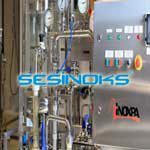 The in-line system reduces the investment required to oversize the cellar for a static clarification system; the same applies to the cleaning processes such a system would require. 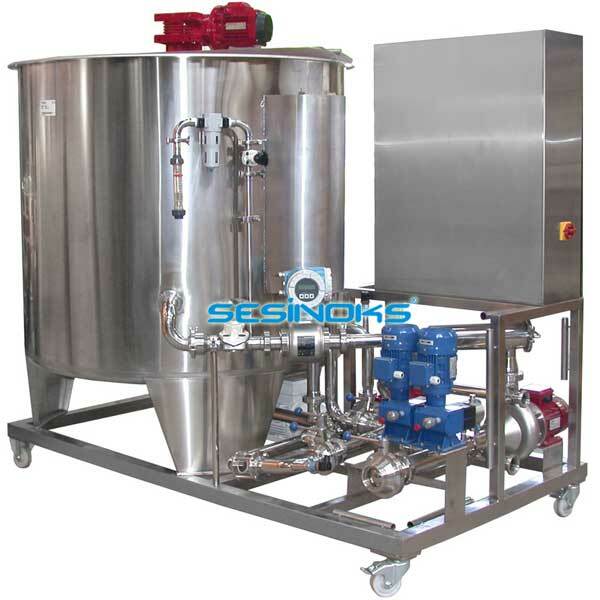 In comparison with other in-line clarification systems, such as centrifugation and rotary vacuum filtration, in the continuous flotation system the treatment applied to the must is not aggressive and maintains the vast majority of precursor molecules of natural flavours, sources of nitrogen, amino acids, etc. which are necessary to obtain a good wine quality. Compact and flexible design on wheels. High range of variation of NTU.